Whatever Hoogie does is not right. When Tweezle squishes food, “Everyone laughs.” When Hoogie does it, she is told to “not be such a baby.” Similarly, she is “too small” to help dad. “Too big. Too small. No room for me at all,” sums up the pain she feels. In the end just like “the sun in the middle of the solar system,” Hoogie isn’t so invisible anymore. McLellan finishes her story with a deliciously sweet simile! This loveable family comes alive with Dean Griffiths cuddly personified monsters. Vibrating hues painted in pencil crayons and watercolours evoke an expressionistic style with realistic elements. The clever use of negative space adds dimension and energy to the characters as well. Consistent rendering makes switching from each book in the series a seamless transition. The difference is the focus on the title characters, e.g. Hoogie holding a donut over one eye exaggerating the fact that she feels “like the hole in the middle of the donut” or Tweezle holding a large beach ball reinforcing his babyish stature. 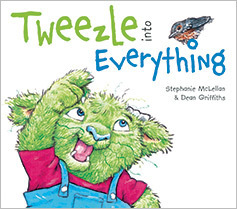 Stephanie McLellan is back with a book about the youngest (smallest) monster sibling who gets himself into some big situations.Tweezle into Everything is currently available for purchase in Canada. 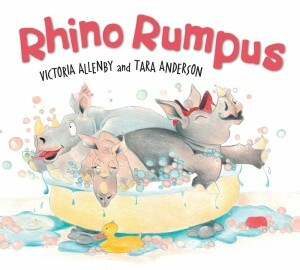 This award-winning author was kind enough to answer some questions about the process of writing this book, rescuing baby animals, and nicknames. When you were writing Hoogie in the Middle, was it always your intention to write about another monster sibling? 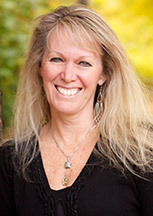 Writing books about Tweezle and Pumpkin was Publisher Gail Winskill’s idea. Gail’s enthusiasm for Hoogie in the Middle was very exciting, and when Gail is passionate about an idea, anything is possible. It was Gail’s idea to illustrate the characters as monsters and I fell in love with Dean Griffiths’ illustrations right from the start. When Gail proposed the idea of two additional books, I was thrilled and started in on them right away. In fact, I’ve also written manuscripts about an only child (a friend of Hoogie’s) called Wyn, and also about identical twins (named Snips and Spins). How was this writing experience different than/similar to Hoogie in the Middle? Writing Tweezle was an entirely different experience. The plot of Hoogie in the Middle was built around the middle child experience of feeling both too big and too small … isolated in between these opposites. My understanding of how Hoogie felt was crystalized by viewings of old home movies where I saw, with the distance of time, actual situations take place that demonstrated this. What I set out to do with Tweezle’s and Pumpkin’s stories was to identify and build on the core emotions at play for the youngest and the oldest. For the baby of the family, it seems to me that the issue is again built on colliding opposites … i.e. Tweezle is the littlest but he yearns to be big. A phrase repeated frequently by the real Tweezle (our son Tristan) when he was little was “I big”. Where many of the plot elements in Hoogie in the Middle are taken from real life, Tweezle’s story was wholly invented in my effort to play with the big/little opposition. In this book, Tweezle helps a baby bird in need. Is this something you’ve experienced yourself? Is it something you want to draw attention to/feel passionate about? It would be difficult not to feel passionate about helping little baby birds in distress, but the plot of Tweezle into Everything was wholly invented and not based on anything that happened in exactly that way in our family. That being said, we have certainly attempted rescue of various critters over the years: a baby rabbit our kids named Jack, baby mice and so on. The real life Tweezle (our now 17 year old son Tristan) actually did come home after a walk recently with an orphaned baby squirrel, cradled in a large, empty candy container he got from a store near where he found it. Fortunately, we have a wildlife expert who lives on the next street (nicknamed The Squirrel Lady) who was able to give us some advice. None of those situations had happy endings and we do have a few little graves in our back yard. So while Tweezle’s story is not based on a specific incident, the spirit of the story feels very much like our real life. I did want to make sure that the bird rescue in the story didn’t contradict what wildlife specialists would recommend and, thus, after mapping out the plot, I did some research to make sure Tweezle was doing the right thing. What was your favourite part about writing Tweezle into Everything? It was fun to shift the point of view to someone else within the family I created in Hoogie in the Middle. In the first book, of course, Hoogie was front and center. We knew how she was feeling, and Tweezle and Pumpkin were background characters for her to bounce off. With Tweezle into Everything, I got to shift the lens, pushing Hoogie back and Tweezle forward so now we could peek inside his head and see something surprising. I’m hoping readers find this fun too, especially now that they already know Hoogie and can apply their understanding of her to the way she acts towards Tweezle in this new story. When you began writing this book, did you know what the ending would be? Hoogie and Tweezle are nicknames for two of your own children. Do you have a nickname? Where did it come from? I didn’t have a nickname myself, but you’re correct that each of our three children did. “Hoogie” is our middle child’s (Eryn’s) real nickname. I think it was my husband who came up with these funny little endearments, and he came to them honestly. There are ten kids in his family, and while they have pretty normal real names, I came to know them over the years by their nicknames: Honey Bear, Fiddler (Fidzie), McGeezie, Featherhead, Blackie, Chaino (Shmuggie), Cloddy and Miss Pretty. I’ve missed a couple, but you get the idea. Eryn was called, variously, Hoogie, Hoogs, The Hoogster and Mrs. Grumpbladder … the latter coming from a picture book we enjoyed when our kids were little called King Change-a-Lot by Babette Cole. The other names I used in the story (Tweezle for the baby boy and Pumpkin for Hoogie’s older sister) aren’t actually the real nicknames of our son (Tristan) and eldest daughter (Sarah). Because the text of Hoogie in the Middle is so sparse, I was conscious of the sound and melody of the language and wanted names that fit the cadence of the opening lines. This meant that I needed two-syllable names which had stress on the first syllable. Tweezle and Pumpkin are invented names. I’m not really sure where the name Tweezle came from although, in retrospect, it’s close to one of Tristan’s nicknames, Twister (or The Twister). The nickname Twister stemmed from Tristan’s third birthday which we held at a Go-Cart track with his many aunts and uncles. We set this up as the “Twister 3000 Race” complete with racing flags, trophies, etc. Mostly, though, we call him Shmoe (and where that name comes from I’ll never know). The older sister Pumpkin was originally called Munchkin when I submitted the story to Pajama Press. Publisher, Gail Winskill, and editor, Ann Featherstone, had me re-think that name given that “munchkin” sounded like the name of a youngest vs. an oldest. That made sense to me and Pumpkin seemed like a good replacement. Sarah’s real nickname, though, is Magoo (as in, “Sarah Magoo, we sure love you”). There were times she was also called “The Baby from L” (I’ll let you guess where that evolved from). And that’s probably more than you ever wanted to know about nicknames! There’s nothing I loved more than curling up with our kids and reading to them for hours on end. We have so many books in our household; so many favourites. The thing about the books we’ve read and re-read multiple times is that they’ve become part of our family history. When you think about a book you’ve shared, you generally remember not only the story itself, but also where you were when you read it and who you were with and what you felt at the time. When she was little, Eryn/Hoogie frequently wished for a special Time Machine that would allow her to rewind time, stop it, pause it … even fast forward and skip it the way you can do with a movie. We found that the books we shared together were a little like that. 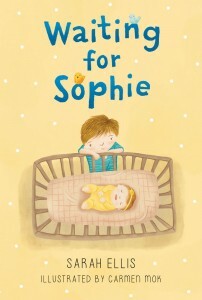 When Tristan (Tweezle) was little and I’d read him a worn out copy of an old favourite, Sarah (Pumpkin) and Eryn (Hoogie) would snuggle in to become part of the new reading of the book. We’d all get caught up in the story and all the time that had passed between then and our first reading evaporated for a minute. That’s what I love about being part of this industry and writing for children. I know how reading and sharing stories can change the way you feel, and make you feel like you’re part of something bigger. That’s what I want to do with my stories; be part of making family memories and be part of making people feel bigger than themselves. Did you know that Monday, August 12th was Middle Child Day? If you missed the occasion you can still celebrate by listening to some great middle child-themed radio. Stephanie McLellan, author of Hoogie in the Middle, appeared on CBC’s Metro Morning to talk about her book and about being a middle child. She was also interviewed on CBC’s Ontario Morning. At Q107, Dominik Diamond, Ryan Parker, and Johnny Garbutt had a hilarious time reading Hoogie in the Middle and talking about it on the air. Children’s Book Panel member Ken Setterington appeared on CBC Radio’s The Next Chapter today with co-panel member Michele Landsberg. The two shared their selections for this summer’s reading list. Setterington’s YA choice? Nix Minus One. Click here to listen to the full segment. Skip to 11:27 for the full Nix Minus One review.